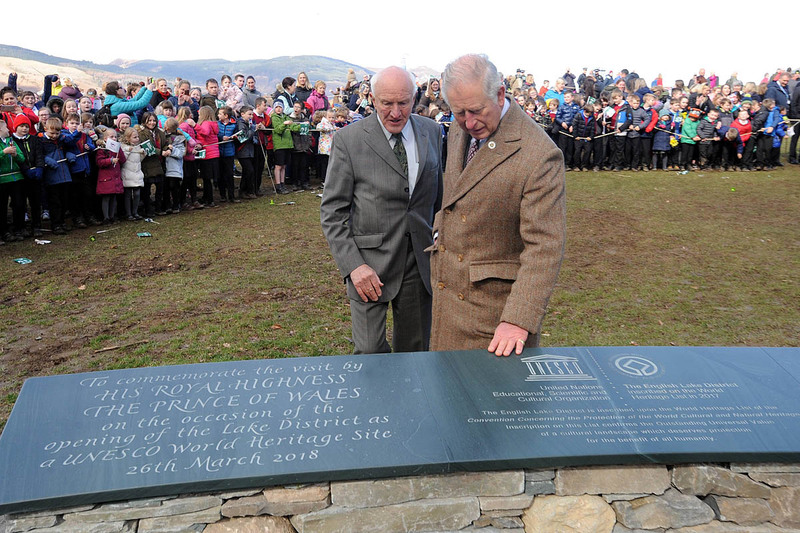 Prince Charles has unveiled a plaque to mark the Lake District’s designation as a Unesco world heritage site. More than 500 children were among crowds who saw the Prince of Wales conduct the ceremony at Crow Park in Keswick on Monday. He was joined by Lord Clark of Windermere, who was at the forefront of the Lake District National Park Partnership’s bid for the status, Environment Secretary Michael Gove, Unesco’s UK chair Beth Taylor and tourism minister Michael Ellis. A programme of performances was commissioned by the Theatre by the Lake and included a dance piece by its Young Company and The Hired Man by St Herbert’s Primary School, Keswick, including an introduction from pupil Thomas White. Actress Elizabeth Mansfield sang Hymn of Love – Homage to Piaf. The prince said: “To me, it is something of a triumph that this traditional land use continues to this day, even in the face of severe social, economic and environmental pressures. He said it seemed appropriate that the Lake District’s inscription was in the cultural landscape category describing how the ‘incomparable beauty’ was a consequence of more than one thousand years of human activity. The Prince of Wales added he hoped the UN agency’s recognition would help local businesses and draw more investment to the region. He said sitting alongside the world greats, such as the Great Barrier Reef, the Lake District had its own international significance and would make its own unique contribution. 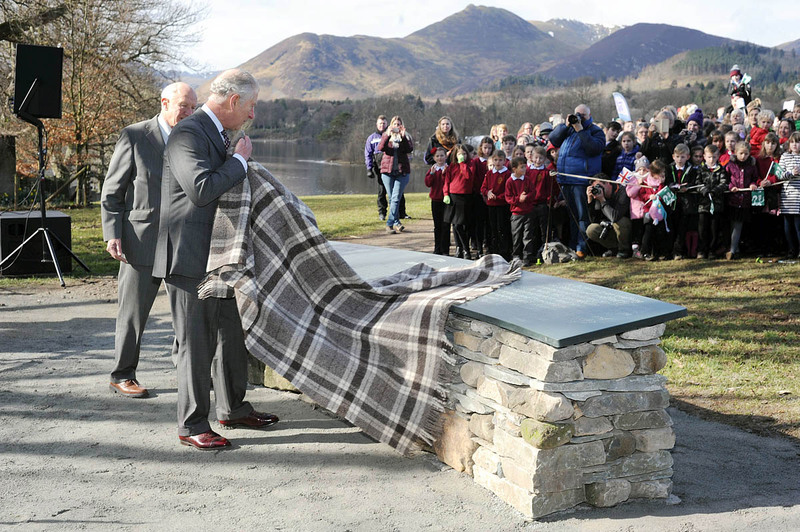 The plaque is set in an installation built from locally sourced drystone and slate from Honister Slate Mine, with recycled stones from the National Trust’s Crow Park donation cairn.